last minute hotel deals. no booking fees. delightfully furnished and airconditioned units. We offer 22 clean, well maintained family, double and corporate suites, including 2 room and 3 room family suites. Upstairs suites have a private balcony overlooking either poolside gardens or Macquarie River parklands. 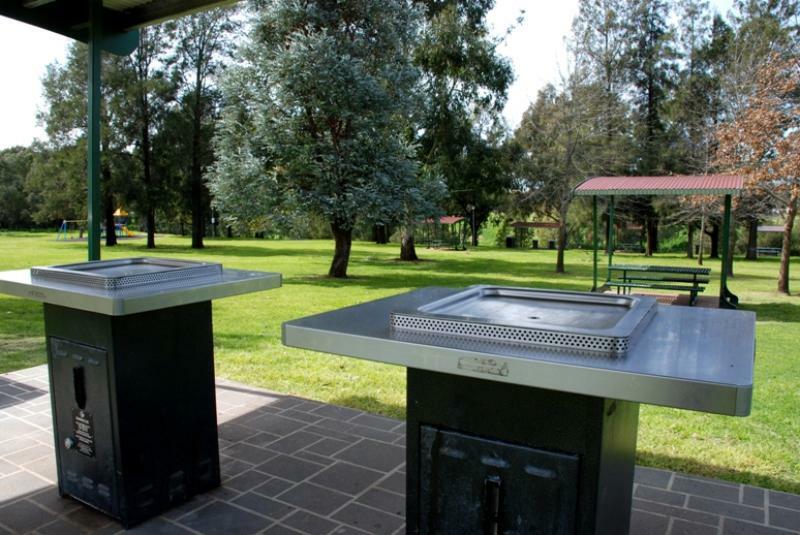 All rooms have kitchenettes including full size stove, Austar satellite TV, Wireless Broadband and an ironing board and iron. 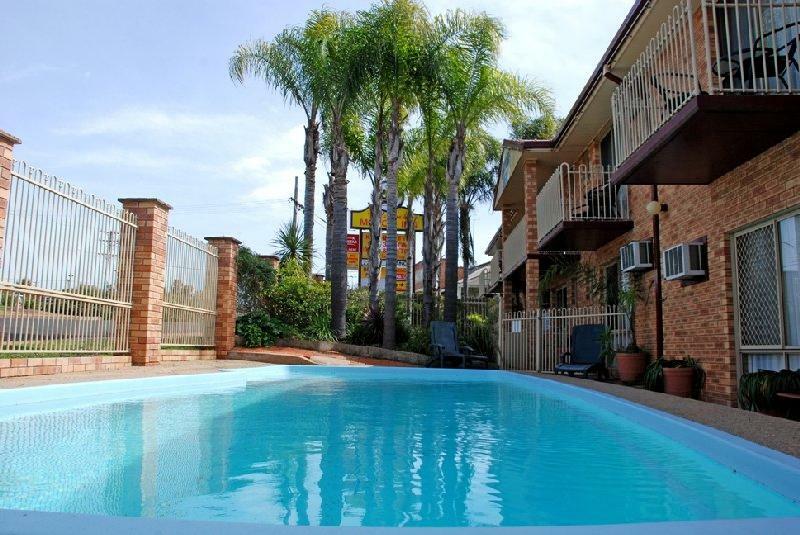 There is a fully equipped, coin-operated laundry on site as well as a well maintained saltwater pool. Homecooked breakfast to room if required. 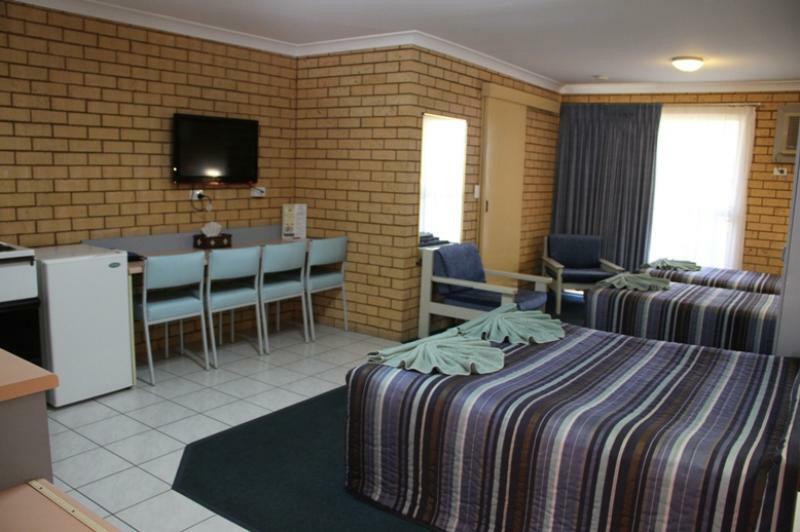 Tallarook is ideally located 5 minutes drive from the CBD and the famous Western Plains Zoo. Parkland opposite the motor inn is connected to the zoo via scenic walkway/bicycle track. A 5 minute walk away are Hungry Jacks, Westside Tavern, Chinese restaurant, IGA supermarket, post office and newsagency. Please note additional adult guests above 1 may be required to stay on a rollaway bed. 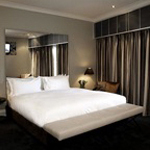 This property will not accept cancellations or amendments to bookings for this room offer. Refunds are not available. Please note additional adult guests above 2 may be required to stay on a rollaway bed. need it now is a division of Helloworld Limited and is proudly Australian owned and operated. need it now is one of Australia's best last-minute accommodation services. We sell discounted accommodation from hotels, motels, apartments, resorts, B&B's and lodges around Australia and New Zealand. Whether you're a seasoned corporate traveller looking for the best deal, planning for a romantic weekend away or taking a well-deserved holiday, need it now has the best last-minute deals for you. With offices in Brisbane, Sydney, Melbourne and Auckland our team of experienced consultants track down the best deals for you. With over 4,500 properties on offer every night, you can book the best deals available via our easy-to-use need it now website and receive an instant confirmation. pillowPOINTS is a unique travel rewards program which allows you to earn pillowPOINTS with every booking you make at one of our partner websites. As you earn pillowPOINTS you will be able to redeem them against future bookings and with no block out dates the options are endless.